Banana Republic Canada has prepared a great offer for their customers! 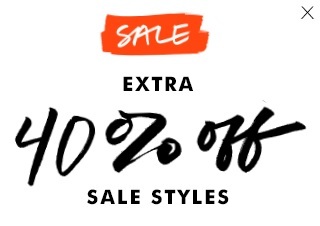 Save an additional 40% off sale styles.The offer is valid online only. To receive the offer enter the promo code BRCSALE at checkout. Some exclusions may apply. Official source of the information is Banana Republic Canada. More information about the promotion available on the official website.